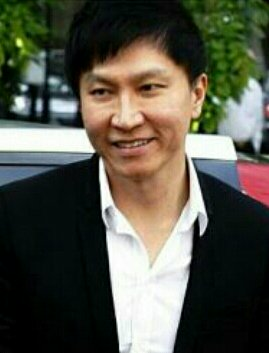 Singapore City Harvest May Go Bust ?! 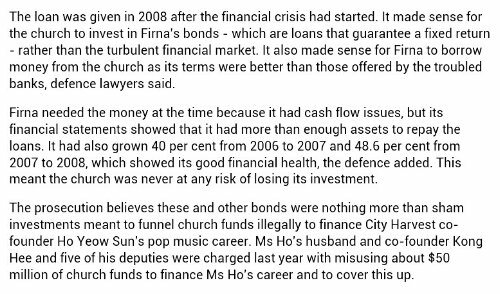 According to media report, though the defence of City Harvest said that the loan to a company in bond buying IS SAFE in order the fund could eventually go one full cycle and used for supporting Sun Ho’s singing career; but the fact remains that after Kong Hee & gangs sham bond scam been exploded in public eye, the church’s Donation has dropped a lot! The million-dollar question is, would CityHarvest eventually gone bust because of diversified borrowings from other financial institutions with very high interest rates (to cover urgent financial needs)? 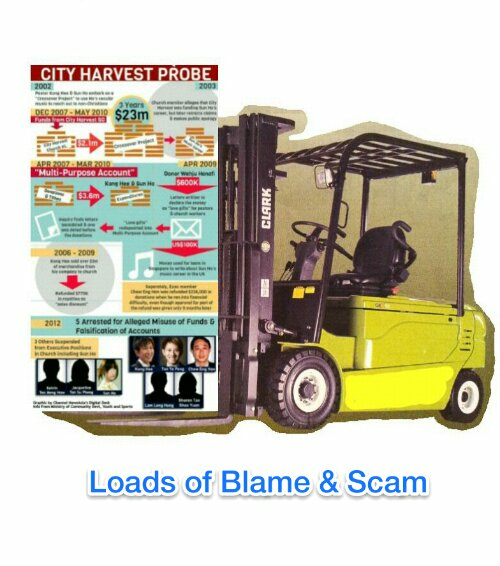 The gangs had to do that apparently was to try covering up the “biggest black hole” (root cause) created by a lousy pop singer’s US market attempt. 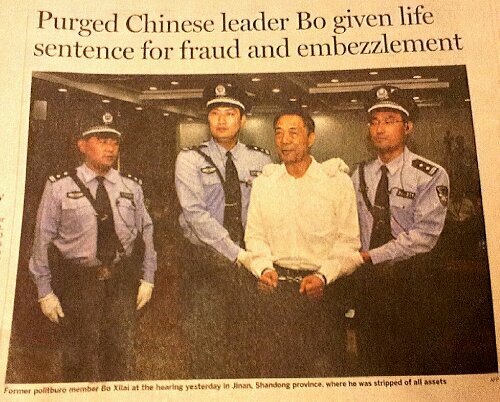 Deserving Bo Xilai 薄希来 finally heading for his life-time cozy imprisonment, a pay-back to his abuse of power and corruption. 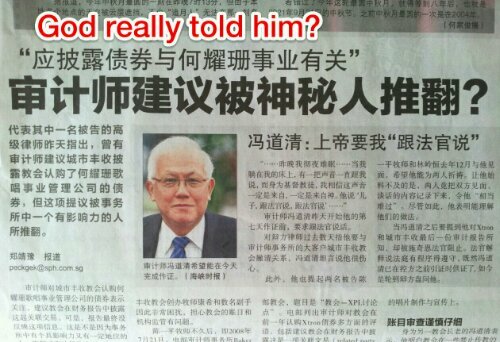 He is definitely the most stupid senior Communist party official of recent time. 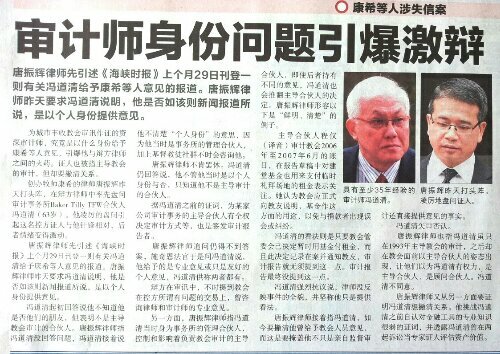 He didn’t see what’s coming his way and dreamt of taking over the top post in Chinese Communist Party political bureau. 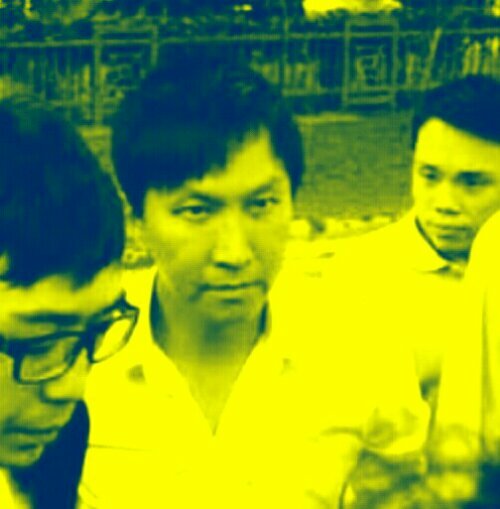 THE trial of Kong Hee & gangs of Cityharvest enters the crucial stage, where Kong Hee syndicate almost managed to frame up their beloved Auditor friend, FOONG. 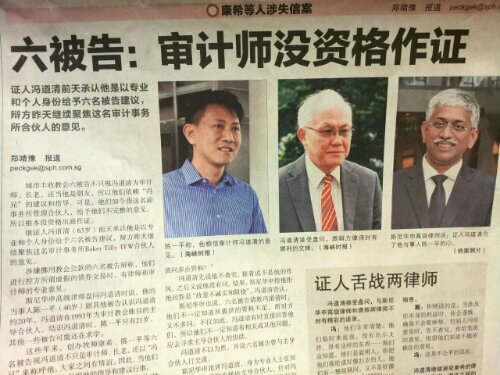 Now that it is clear in court testament that it was Kong Hee and Tan Ye Ping together with their merrymen tried very hard to blame the whole world except themselves. Above: the way it goes, it will be One Stone Six (Jail) Birds instead! Now They Push It To God. Oh God! 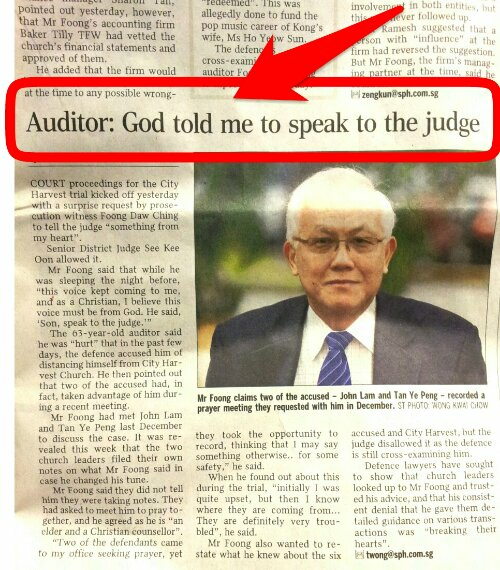 From the proclaimed “God says sorry to me…” (by pastor Kong Hee) to Eng Han’s “truthful to God” and now the church engaged auditor (and closed friend) starts to proclaim in court: God told me to speak to the judge… WOW! 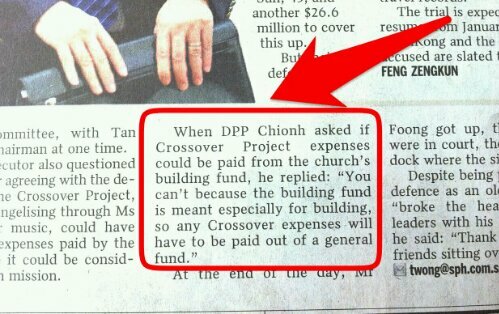 The $2.4m question is: Did he actually gave such “questionable” advice to Cityharvest church committee and he fully aware that it is not right? 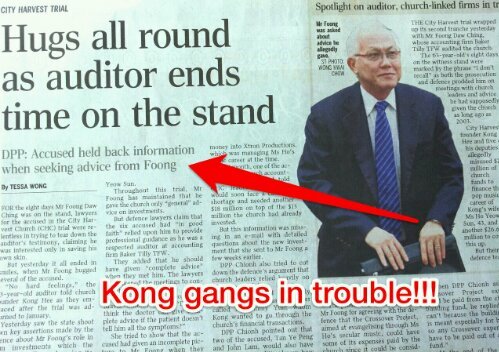 If he didn’t, then why the Kong Hee gangs want to frame him? Another question: God really spoke to him the night before ?! 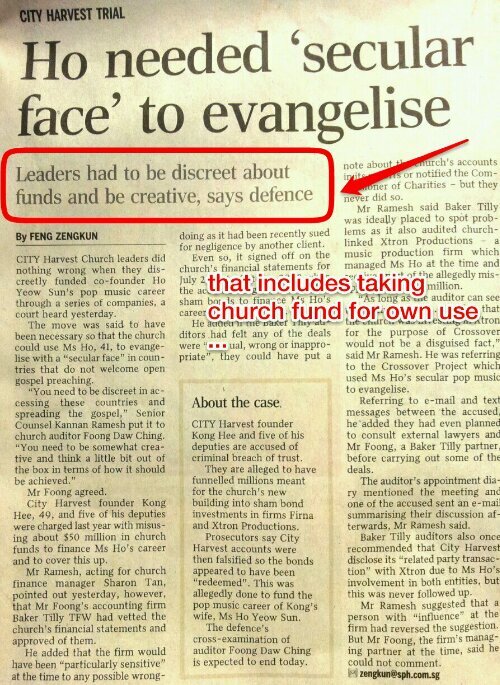 Cityharvest Church ‘scam gangs’ and claimants, Watch Out! 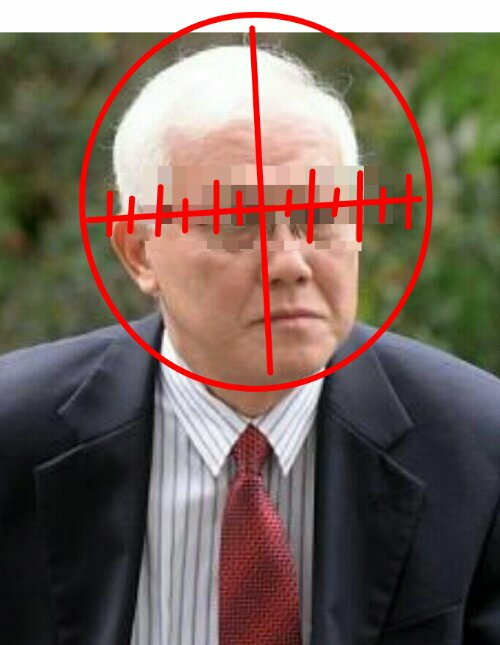 In court, media reports The “Gangs” trying to aim and shoot; the “auditor friend” tries to hide and evade. Interesting debates fill the court room. The episode is full of disappointment, finger-pointing and breathing hot air in court room. 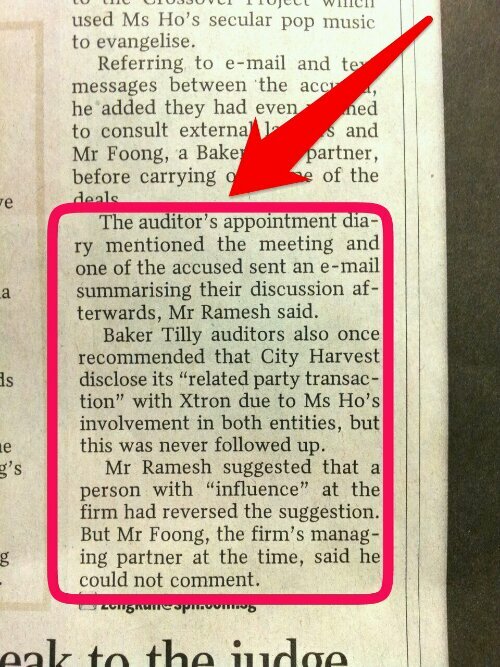 IS THE AUDITOR A CLOSED FRIEND? 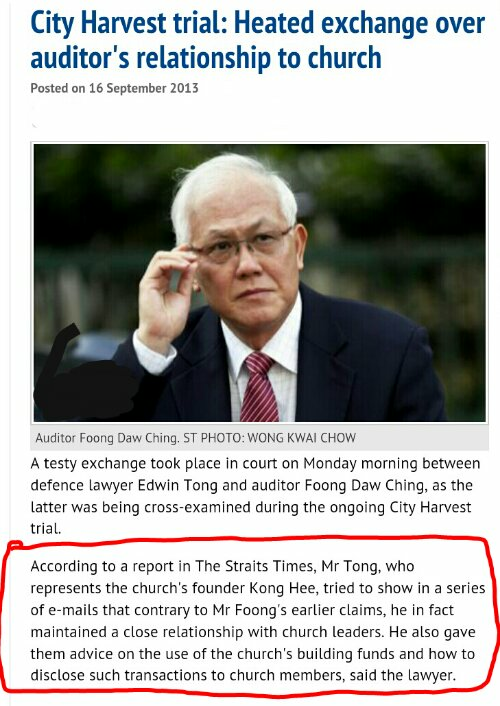 FROM what the media has reported, it appears that one of the partners of auditing firm engaged by CityHarvest is a closed friend of Kong Hee. 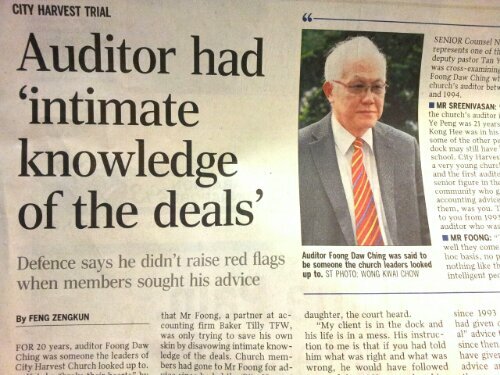 However, as a witness to the trial, Foong denied everything he had said (or involved) with the audit process and audited report of the church. 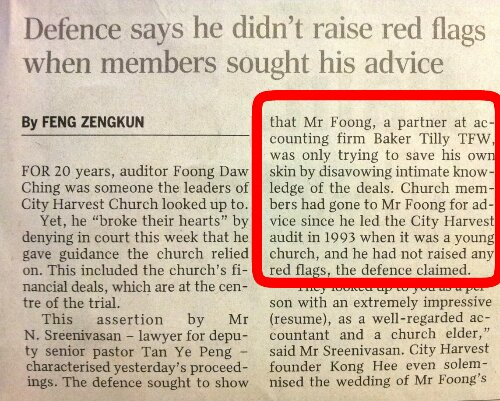 – as partner of the auditing firm engaged for the client (in his case, CityHarvest), how could Foong even provide his so called Personal Advice outside the audit process?! 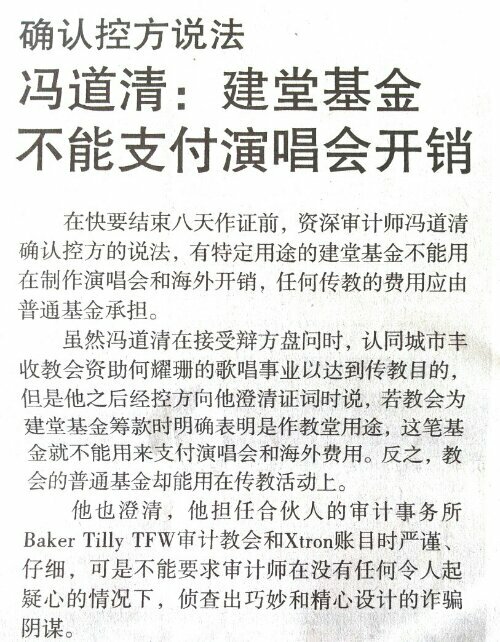 – in that context, as a partner of the auditing firm, was Foong tried to influence his client about the audit report outside the auditing firm’s responsibility and liability? – is that professional conduct expected of an auditing firm towards its client? I.e. 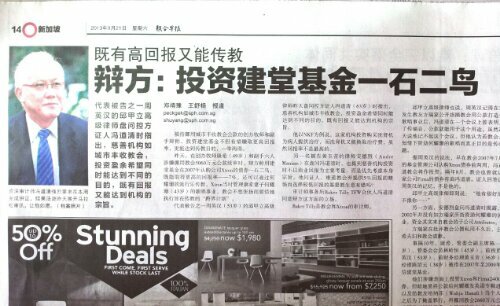 playing different roles as partner of the firm toward a same client on a single audit case. 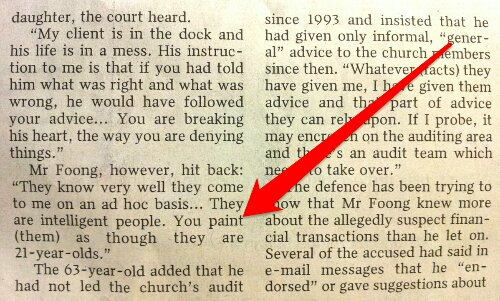 Would more denial really help the partie(s) concerned to eventually evade from justice? 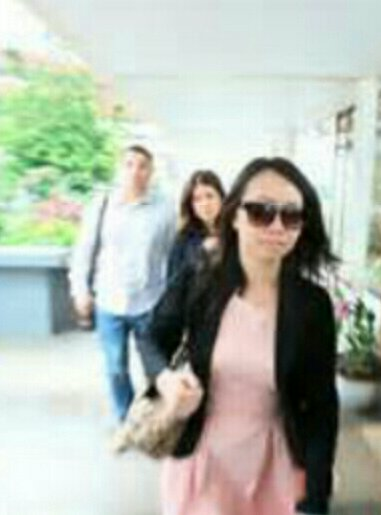 One thing for sure, Kong & gangs are trying to drag a few more (friends) into deeper water besides Chew Eng Han… who knows.